After a short flight from Nice to Frankfurt, we took the train to Stuttgart. We had a little business to take care of in Sindelfingen the next day so the vendor we were dealing with booked accommodations for us at nearby Stuttgart. Outside of the train station we approached the queue of taxis and promptly requested to be driven to our hotel. The driver looks at us, pauses, and politely points to the building across the street with large letters displaying, what else, the name of our hotel. My husband and I looked at each other and laughed. 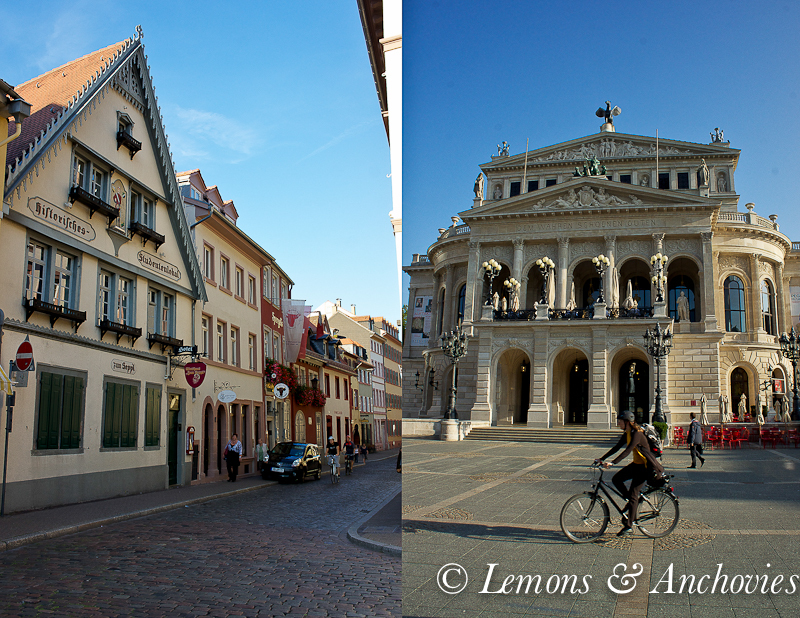 After a very easy connection from the Frankfurt airport to the train station–they’re in the same structure–and not even having to search for our hotel, we felt pretty confident about the road trip we we were about to take in Germany. This was going to be smooth sailing all the way, we thought, but little did we know the adventure that awaited us. We spent an afternoon exploring Stuttgart–having a beer on the Schlossplatz with a view of the “new” castle which was built between 1746 and 1807 as opposed to the old castle which dates back to 950. 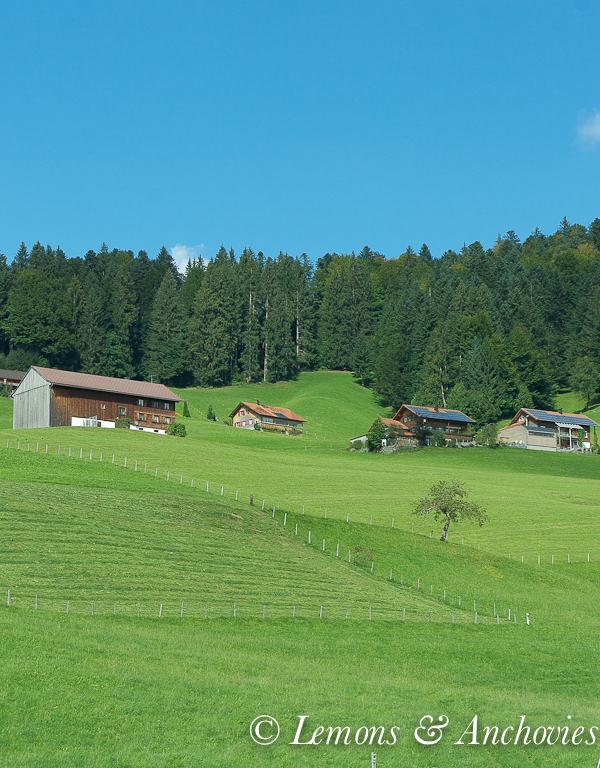 Stuttgart is on the valley floor; just beyond, vineyards decorated the landscape. We were still in a rosé state of mind so at dinner that night my husband ordered a French variety. Me? I tried a German version and it won hands down. Confessing my ignorance here, I had no idea we were passing close to Germany’s wine region. In Stuttgart, after a factory tour and lunch that lasted much longer than we expected, we threw our bags in the car. We had mapped out a loose itinerary that would allow us to see a few sites before heading back to Frankfurt to catch our flight home. The kind technician entered our first two destinations into the car’s navigation system, made sure the language was set to English, I had our road map and we were set. 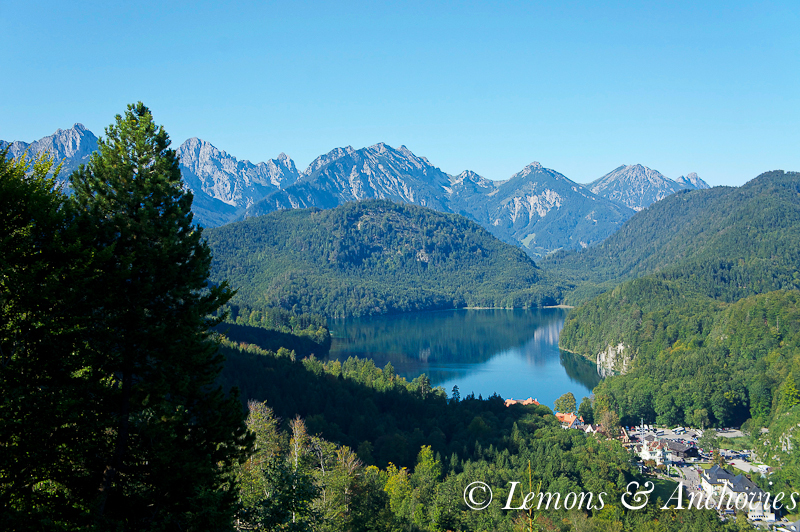 He said it should take us no more than 1 1/2 hours to get to our first stop, Hohenschwangau. 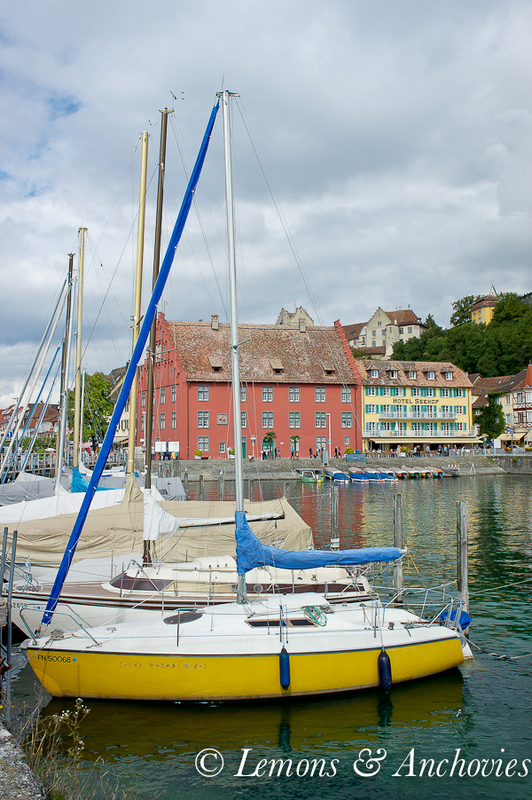 We had booked accommodations the night before for our stay there and also for our stay at our second stop, Lindau. Save for the Friday afternoon traffic everything looked good. I followed the navigation system’s directions on my road map and seemed to be on the right track. There would be a fork along the way, each split leading to our two destinations. Ever vigilant about not getting lost when traveling, I always carry a map with me and follow along when I’m on a train or when walking city streets. In this instance, though, after a few “check points” making sure the system was working properly, I put my map down and relied on it completely. About two hours into our drive my husband started complaining. Each traffic delay further shortened his fuse. He hates being in traffic at home and the realization that this leg of our trip might involve more road time than we had anticipated didn’t bode well for him. 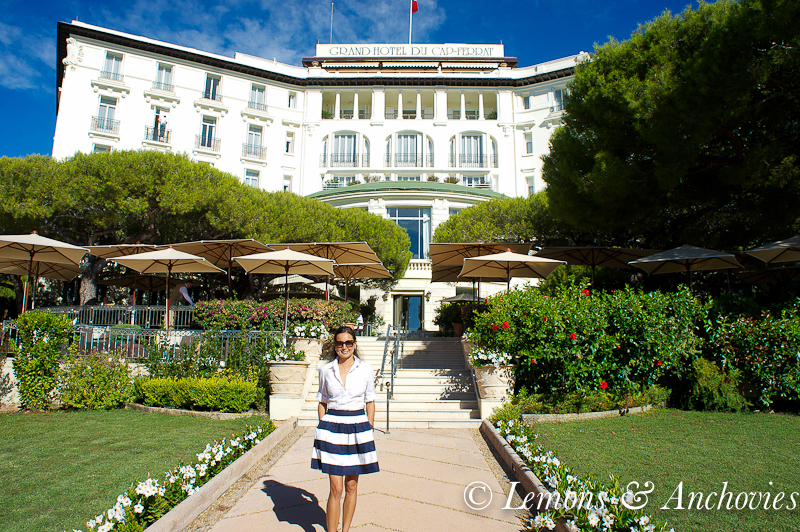 “Take me back to Cap Ferrat,” he said. The worst part? I started to notice the signs and something didn’t look right. Each kilometer we drove brought as closer to Lindau. Hmmm, we weren’t supposed to be there until tomorrow. Again, the town was on the opposite direction of Hohenschwangau from our starting point in Sindelfingen. Suspicious of what might have happened I picked up the map again and sure enough, we were headed for the wrong town! Now the dilemma. How do you tell your tired husband that you screwed up? I realized that I must have accidentally highlighted the wrong town when I activated the GPS. There was only one thing to do: tell him. But it took me another 30 minutes to get up the courage. Of course, the litany of complaints followed. They weren’t aimed at me, thankfully, just to the unfortunate turn of events. We finally arrived at Lindau a half hour later and unsurprisingly, our explanation about needing a room that night instead of the following night was met with graciousness but hard-to-hide amusement from the front desk staff. It turned out that we needn’t have been concerned. 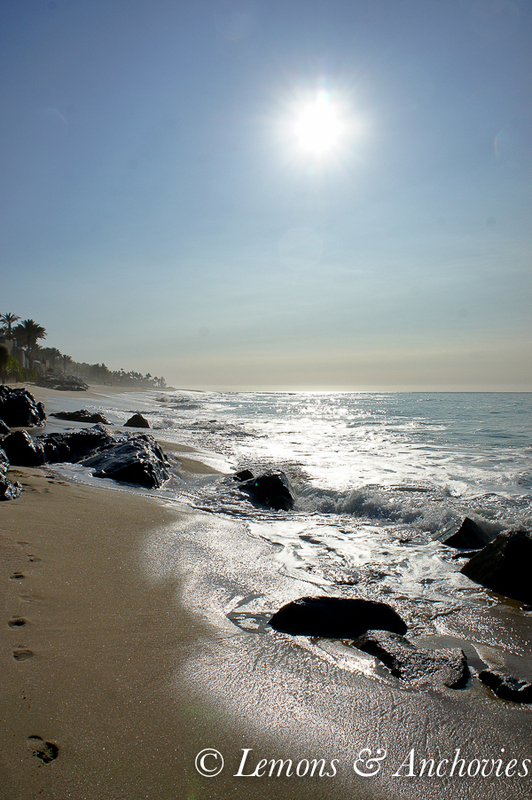 We simply reversed our itinerary and it all worked out. 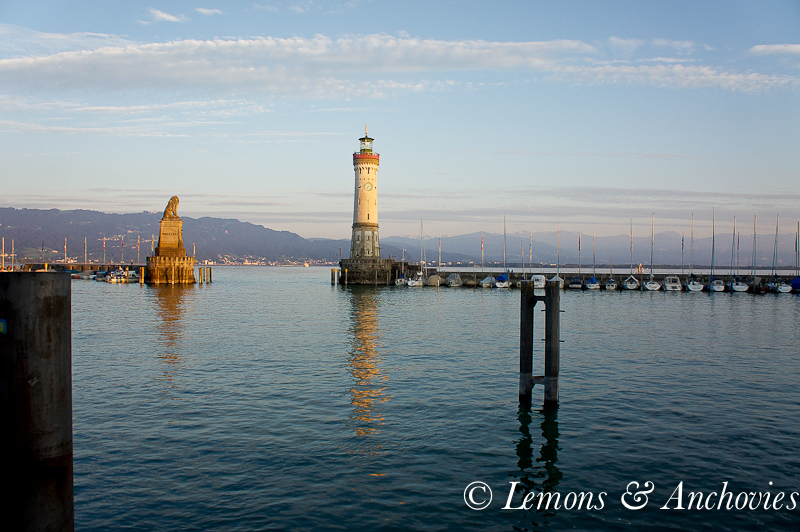 Lindau is situated on Lake Constance (Konstanz), a popular destination in Germany. The third largest lake in the central Europe, it straddles Germany, Austria and Switzerland. 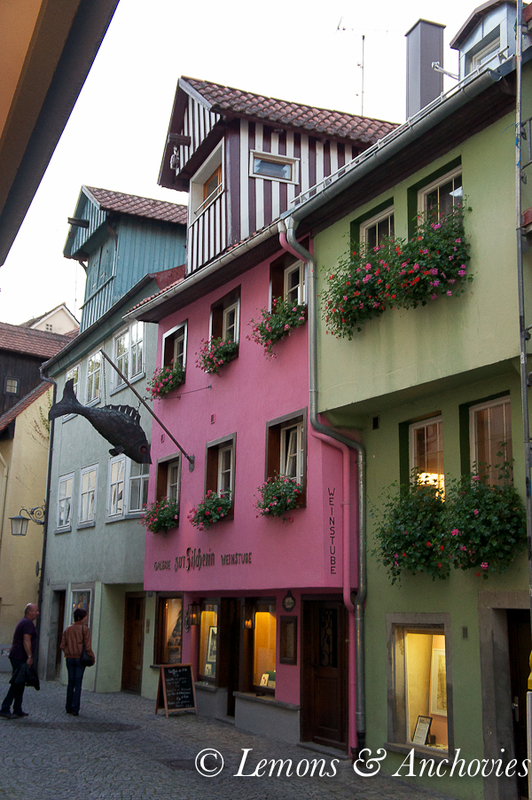 My dear friend Monika recommended that we visit the actual town of Konstanz but time limited our stops. Lindau didn’t disappoint. 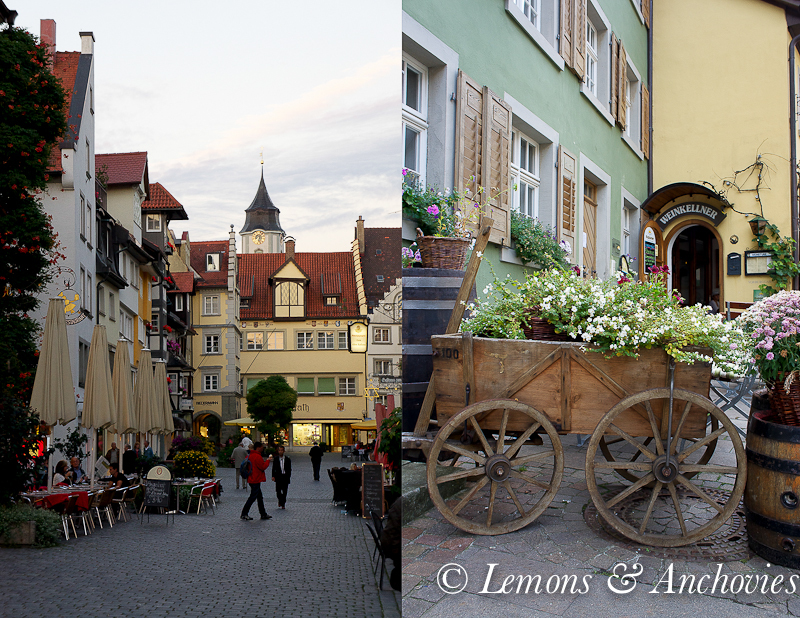 A charming town, it was an ideal setting for seeing Bavarian architecture and experiencing the hospitality of the German people. And the food. Breakfasts were a major treat. Countless varieties of breads were on display each morning, along with cured meats, jam and my favorite, liverwurst. I loved, loved my breakfasts in Germany. So much so that I have been meaning to bake German bread at home. Did you know that there are more varieties of bread in Germany than in any other European country? 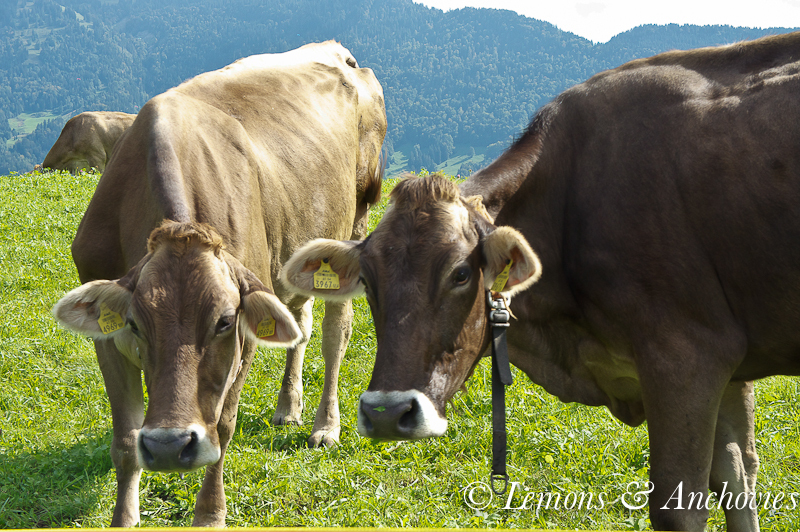 I love their dense, wholesome quality…and slathered with liverwurst, I was in breakfast heaven for nearly a week. 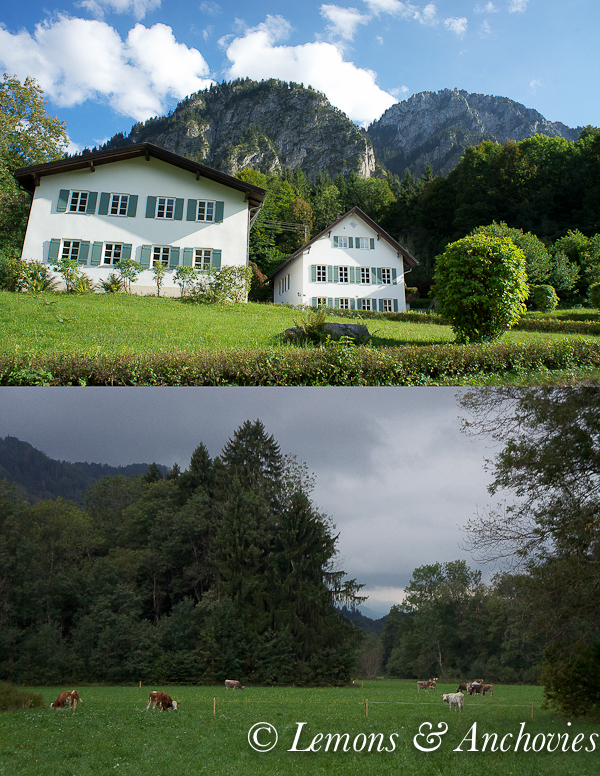 Upon arriving in Hohenschwangau, the proprietor of the hotel greeted us with, and not unkindly, “You made it finally.” He, too, was very accommodating about switching our reservations despite the busy weekend. Hohenschwangau is a major tourist attraction. In all honesty, this is not a place my husband and I would have chosen to visit had it not been part of the itinerary we selected. 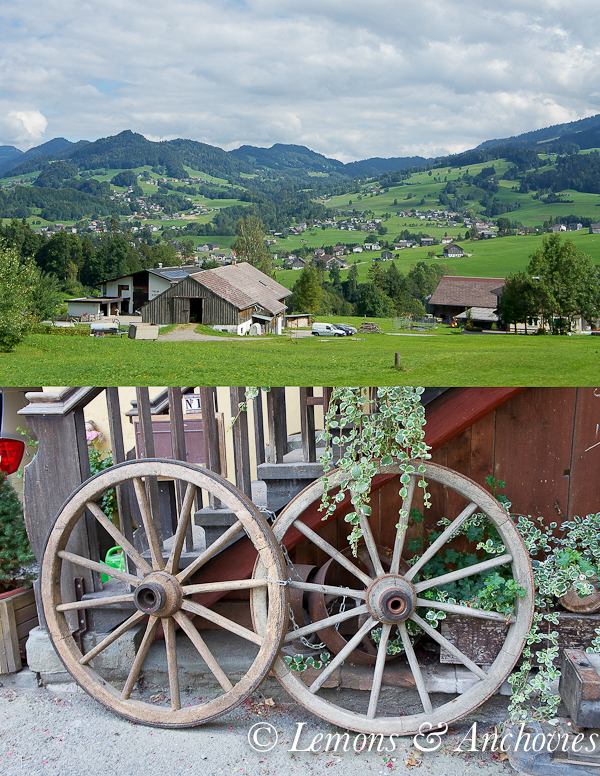 There’s no denying the beauty of the place, however–what with the Austrian mountains as a backdrop , castles–but with bus after bus of tourists being herded into and out of town, it earned a couple of marks down from us. But we were there and we were determined to have a good time. 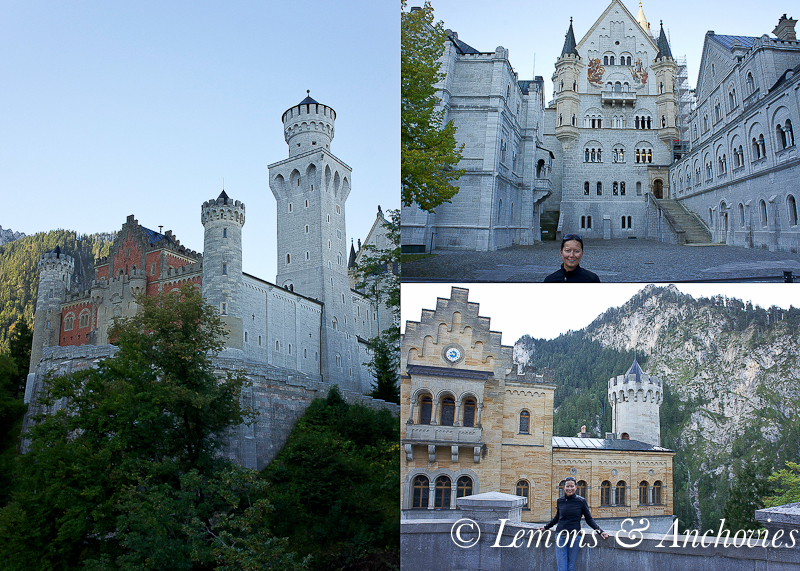 What draws the crowds to Hohenschwangau is Neuschwanstein Castle, commissioned by Ludwig II of Bavaria in the 19th century. At the time of his death in 1886 construction was unfinished but its major claim to fame (perhaps from an American perspective) is that this is the castle that inspired Walt Disney’s fairy tale homes for his royal heroines. 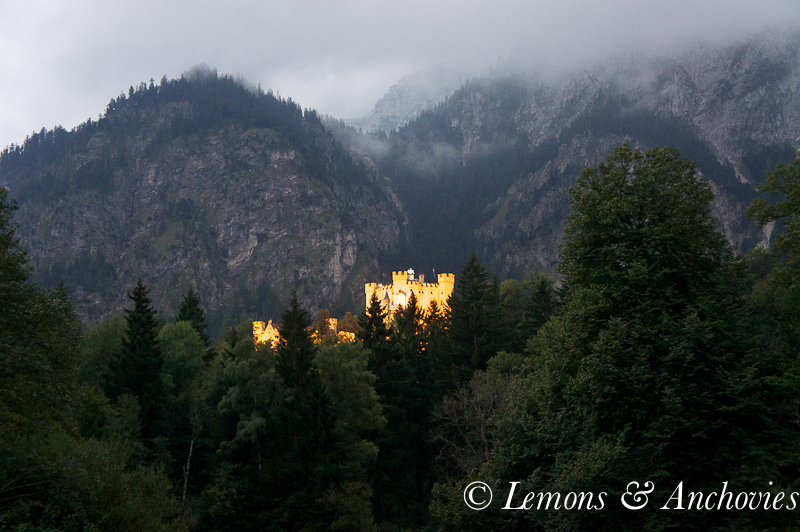 King Ludwig II’s childhood home was a short distance away (seen lit up at night below). We took the obligatory tour of the fairy tale castle and I was almost disappointed not to see Cinderella run down the steps to greet the throng of tourists. Besides enjoying the history of the reclusive King Ludwig’s life, what bowled me over was the full-service kitchen with walls lined with row upon row of copper cookware of all sizes. If I remember correctly, the kitchen may never have been used. Below the lit-up Hohenschwangau castle here are a couple of pictures of Neuschwanstein Castle as we waited for the tour to start. The most dramatic part of its exterior is now covered in scaffolding, diminishing its romantic effect up close but here is a view looking at it from afar. 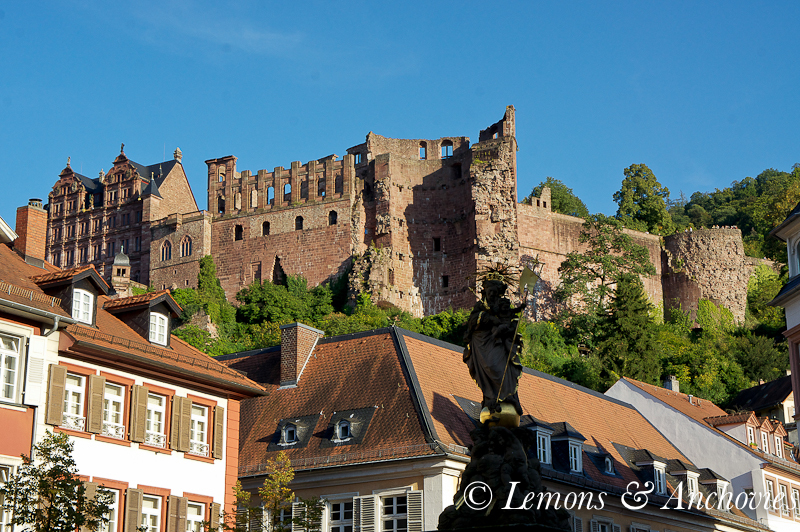 The following morning we set off for Heidelberg, an overnight stop to shorten our drive towards Frankfurt. We enjoyed strolling through the Hauptsrasse, a pedestrian shopping street filled with eateries and quaint boutiques leading to the Altstadt, the historical city center. There was no shortage of artisan food here. 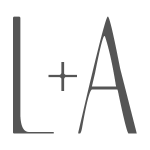 Liqeuers in all flavors, absinthe–all available for tasting. The most unlikely thing that happened was that I ran into a friend whom I hadn’t seen since junior high school. My husband and I were craving Asian food and found what looked like a good place, busy and full of locals. I took a peek inside the dining room and almost instantly recognized two adorable little girls. Those are Jonathan’s kids, I thought. I knew he lived in Heidelberg with his family and we were friends on Facebook but had not really communicated beyond “liking” each other’s activity in the site. I walked over to say hello and I think he was just as stunned to see me as I was about running into him. Small world indeed. The final leg of this three-week vacation that started in the French Riviera with a side trip to the Italian Riviera was a quick tour of Frankfurt (Parts 1and 2 of this series here and here). After years of layovers at the city’s airport on the way to other destinations we thought it would be a good time to finally get to know one of Germany’s largest cities. We spent two days walking all over the city, browsing, taking pictures and me, ogling all the bread and sweet shops. The best part of this visit, for me, was that I was able to see my dear friend Monika and her husband, Alex. Monika and I met as volunteers at Stanford University a few years ago. We hit it off right away and have been friends since, though life’s path took them back to Germany a few years ago. After a couple of years of communicating strictly via email it was wonderful to be able to catch up with each other again over dinner. At dinner that evening Monika introduced us to Hugo, a very popular summer cocktail in Germany. Made of prosecco, lime, mint and elderflower syrup, Hugo (pronounced oo-go) originated in the South Tyrol in the northern part of Italy. It’s similar to a Cuban mojito but since cocktails have never been a big part of my habit, I had no idea what was in store for me. Refreshing and light, it was the perfect drink to enjoy the start of a beautiful Frankfurt evening with good friends. Originally I had in mind to share a pretzel recipe to accompany this post. But not long after returning home from our trip I received a precious gift from Monika–elderflower syrup! So this is what I share with you today. My husband and I have been enjoying Hugo for the last few days. Sticking with the classic ingredients I found the right balance of prosecco, citrus and elderflower syrup for me and my husband. Even resorting to using my Meyer lemons when I ran out of limes this Hugo was wonderful. I couldn’t think of a better drink to remember another fun trip. 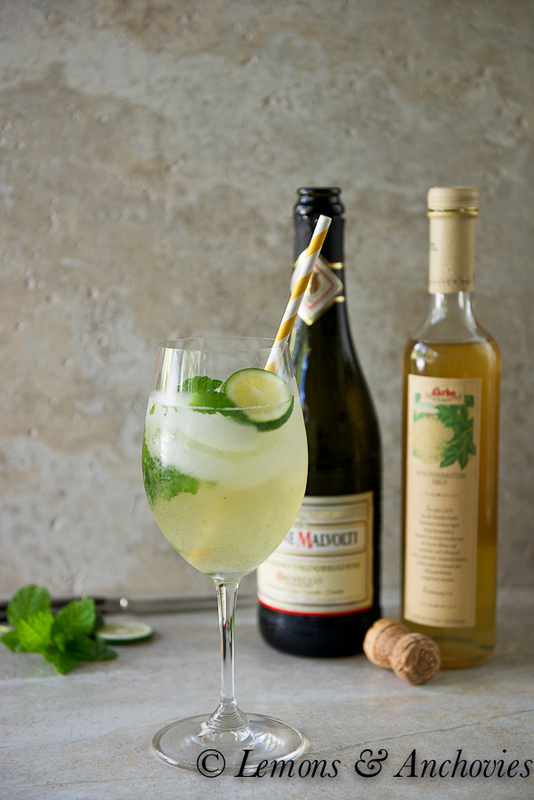 You can't go wrong combining Prosecco, limes, mint and elderflower syrup. Hugo is one of the most popular summer cocktails of Germany. 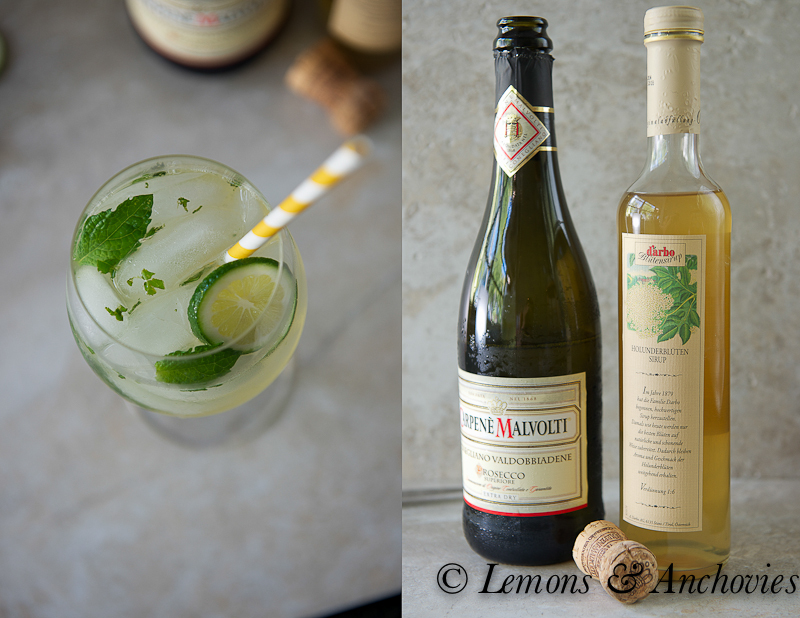 If you have a wooden muddler to mash the mint leaves in your cocktail glass, go ahead and use it. Otherwise, using a mortar and pestle would work, too. In my case, I used a wooden spoon and muddled the mint leaves using a wooden bowl. Transfer the mint leaves to your glass and add the other ingredients. Stir and serve with a straw. This recipe can easily be adjusted for more servings. 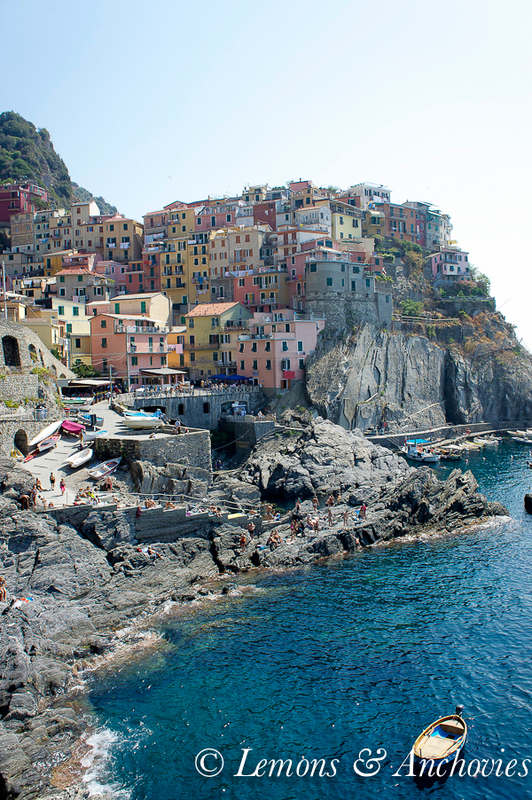 Beautiful photos, now I’m truly craving a European vacation! 🙂 Love your cocktail, the flavors sound so refreshing! I missed part two because my in-laws were visiting from Italy but I love the pictures. Makes me yearn for Vicenza!! 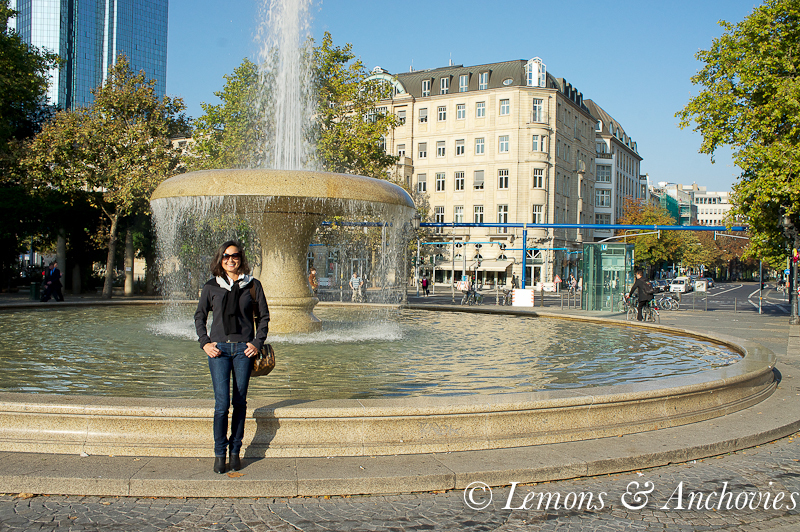 Germany is a fantastic place to visit, though I have only been through the airports and train stations in Frankfurt. I like mojitos and I am sure Hugo is delicious! All I need is some elderflower syrup – a care package from Germany might be in order! We travel to Germany almost every year and your post made me smile as I have almost all the same photos. It seems like you were blessed with absolutely beautiful weather. I hope we will be as lucky when we return in October. I can’t wait to try a Hugo. I’m making Hugos for my book club tonight. I couldn’t find elderflower syrup. I thought to use elderberry syrup but the grocer thought orange flower juice would be more like it. We lived in Stuttgart years ago and what a wonderful time we had living in Germany. 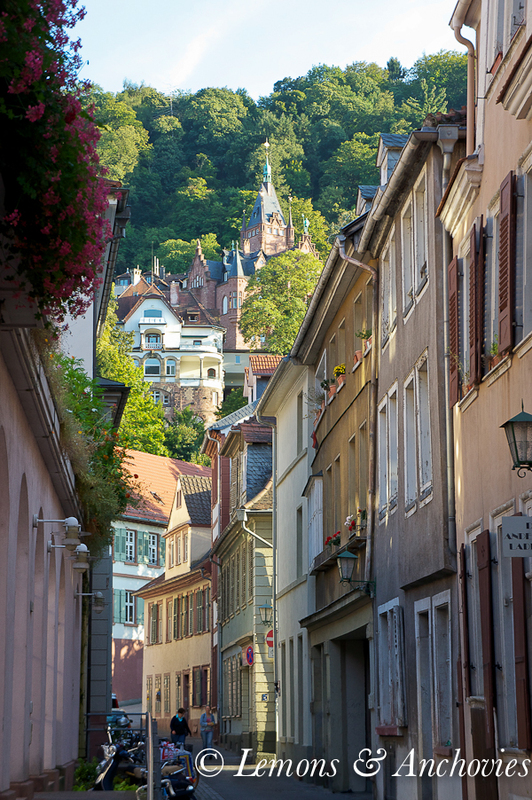 We were constantly at Heidelberg just to take a day trip. The first foreign country we lived in, but it gave us the thirst to see other countries. We have lived and or traveled in about 25 now and though Germany was our favorite, Ireland was second. What a place to take pictures and to eat good food, and meet wonderful people. We did the Bed and Breakfast there for two weeks just to experience the people in their homes and get to know them. Wow! We lived in Tallinn, Estonia for many years and loved the Estonian people and from there traveled all across Europe. You take great pictures and love the way you describe the food. Thanks! So enjoyed this!